Have you always longed for a smile with straight teeth, but didn’t want to spend the time or the money necessary for orthodontics? Well, what if we told you that at Westside Dental Associates we give patients beautiful smiles faster than ever for a reasonable expenditure? Superfast Invisalign clear braces are now powered by Propel Orthodontics, so treatment is up to 50 percent faster than regular Invisalign. And with Dr. Latner’s special offer, you could pay as little as $99 per month for orthodontic treatment. So, if you’re in the market for affordable Invisalign in Los Angeles, contact Westside Dental Associates today! Invisalign uses clear BPA-free plastic aligners to correct any number of different malocclusions: underbites, overbites and crossbites, overcrowding and crooked teeth. 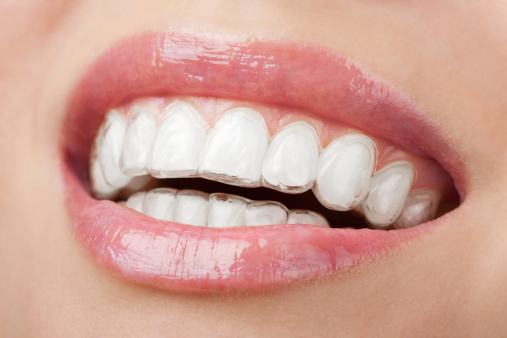 The aligners are fabricated in pairs—one for your upper arch of teeth and one for the lower. Each pair is designed to build on the progress of the previous set, thereby gradually moving your teeth into proper alignment. The primary advantage that Invisalign has over traditional orthodontics is that these braces are hardly noticeable. In addition, you’ll never be bothered by metal brackets that can irritate your cheeks or wires that can poke you. And because Invisalign clear braces are removable, you’ll be able to eat anything you want without restriction and continue your at-home oral hygiene routine as usual. How Does Superfast Invisalign Work? To shorten your orthodontic treatment time, Dr. Latner uses Superfast Invisalign. This system gets a speedy boost from Propel Orthodontics, which uses a micro-invasive treatment to stimulate bone remodeling that helps your teeth move faster and more predictably into their ideal alignment. Because Superfast Invisalign reduces treatment time by up to 50 percent, Dr. Latner can reduce your cost, too. Depending on the number of aligners you need, which dictates your treatment time, you could pay only $99 per month for Invisalign. Our payment options also allow you to pay in full with cash, personal check or money order. Alternatively, we can help you with third party financing through CareCredit®. If you would like more information about Invisalign, Superfast Invisalign, or Propel Orthodontics, then contact Westside Dental Associates. Dr. Latner and his staff would be happy to meet with you to determine if Invisalign is right for your smile. We provide excellent cosmetic dentistry and aesthetic restorative dentistry to discerning patients in the Los Angeles area and beyond. by: Les Latner at April 8, 2016 .